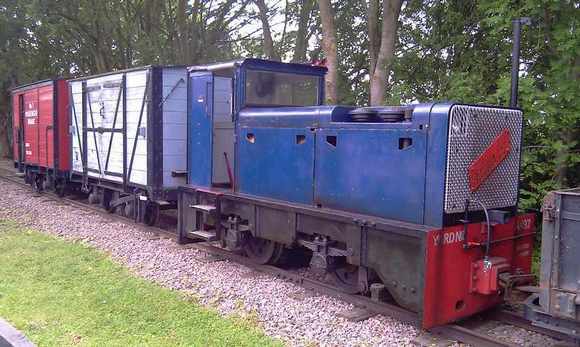 This powerful diesel hydraulic locomotive, built by the Hunslet Engine Co. Ltd., of Leeds in 1967 (Works No. 6647) was supplied new to the Ministry of Defence and was used on the metre gauge railway in Singapore Naval Dockyard. It was eventually transferred to the Royal Naval Armaments Depot at Milford Haven. After being purchased in 1987 it was re-gauged and is a very useful addition to our fleet and often works our passenger trains.